Rivers State University of Science and Technology (RSUST) Acceptance Fee Amount and Payment Guidelines for Fresh/Newly Admitted Students for 2018/2019 Academic Session. 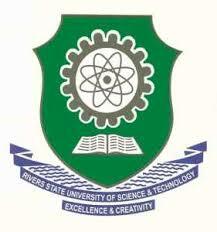 All candidates whose names where shortlisted in the Rivers State University of Science and Technology, RSUST admission list, are hereby informed to kindly proceed with the acceptance of admission offer and payment of acceptance fee. Candidates who are offered admission should log onto the University Website www.rsu.edu.ng and make e-payments of Acceptance fee of Thirty-Nine Thousand, One Hundred & Fifty Naira (N39,150.00) only by generating a transaction id on the University Website for the fee and proceed to any of the designated Banks to pay using the Pay Direct Bank Branch option or using Interswitch Verve enabled and Master cards. Thereafter, they are to proceed for further On-line Clearance before payment of School Fees.